JPFreek Adventure Magazine is a quarterly digital Jeep® vehicle publication and website catering to the true adventure enthusiast. Our readers share a passion for Jeep vehicles, and they enjoy using their vehicles to explore the outdoors including mountain biking, hiking, rock climbing, kayaking, camping, adventure racing, and overland adventures. 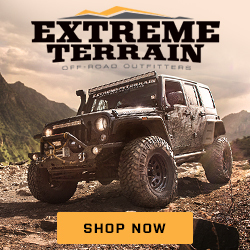 Our content excites a wide audience with action-packed stories of adventure, gear reviews, Jeep tech, and outdoor event coverage — all featuring dynamic video and photography. Contrary to current trends in mainstream off-road media, JPFreek brings a family-friendly approach to Jeep reporting, writing and photography — particularly in how women in Jeeping are portrayed. Our JPFreek Family is a visual representation of this philosophy. JPFreek Adventure Magazine was developed in early 2006 by a group of experienced Jeep and outdoor enthusiasts who wanted to share their passion for adventure as well as promote responsible, low-impact use of the environment. JPFreek Adventure Magazine is the only adventure lifestyle magazine of its kind, whether digital or print, that is available on the market today. We live to find the coolest Jeep information to bring to you everyday. JPFreek Adventure Magazine loves Jeep vehicles, but we also love trees and the environment. Each issue of JPFreek Adventure Magazine is 100% earth-friendly with a significantly reduced carbon footprint from our print peers. We’re also conveniently available on your computer or mobile device anytime, anywhere. 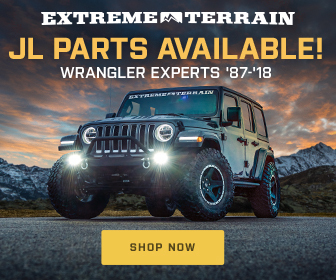 In addition to presenting material in a family-friendly manner, our principles include educating Jeep and adventure enthusiasts about responsible off-highway recreation as well as sharing a percentage of our profits with non-profit organizations aligned with our mission.